Select the VMU you want to save files from. 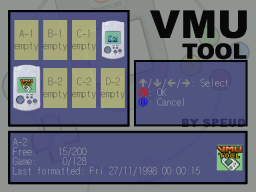 The VMU you selected will be scanned. 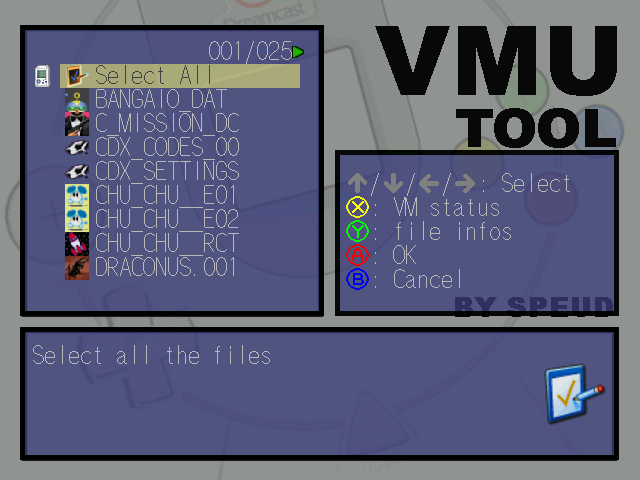 When the scan is finished a list of files will be displayed. 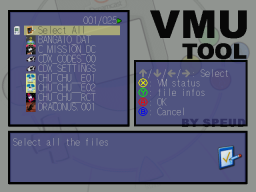 You can select all the files if you want to save all of them, or select the file you want in the list. 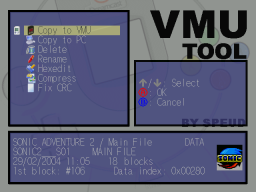 After selecting a file in the list or selecting all the files, select the "Copy to PC" option. 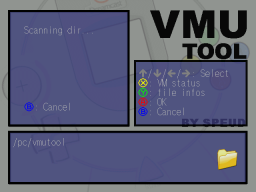 Your PC harddrive will be scanned. 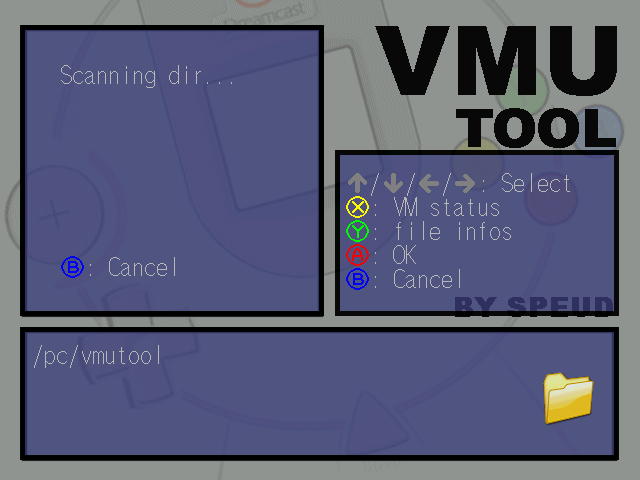 Wait the scan finishes and select a directory to save the file to. 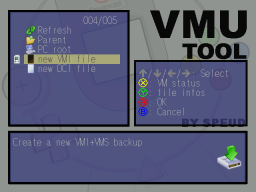 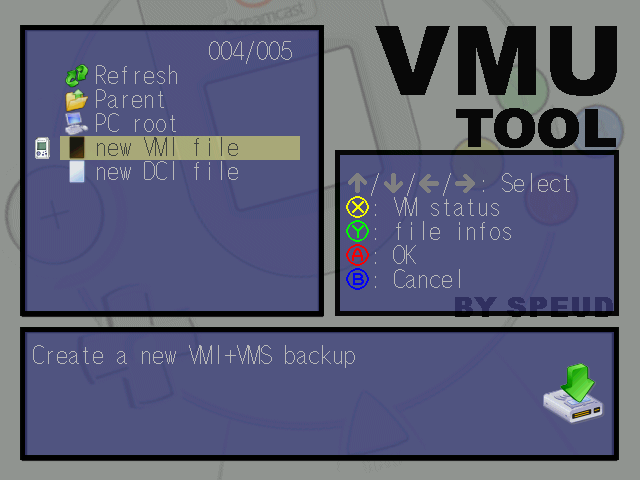 Select the "new VMI file" option to save your VMU file to your PC as a VMI+VMS couple. 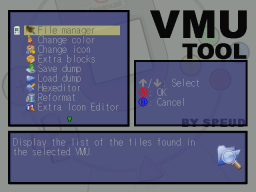 That's the format the most used on the web. 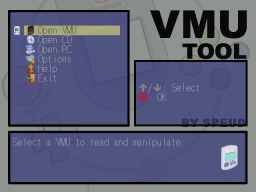 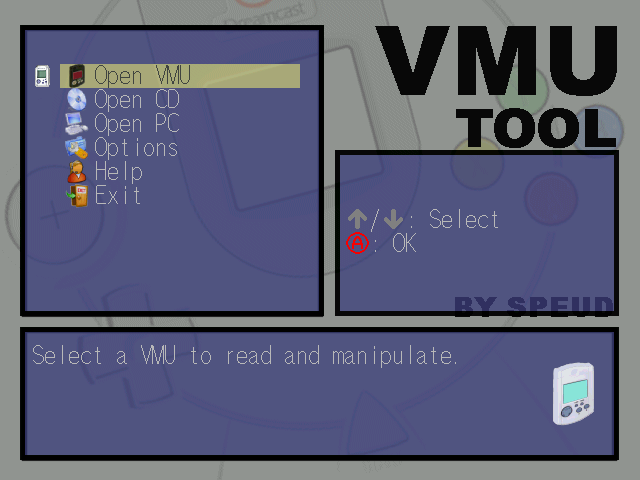 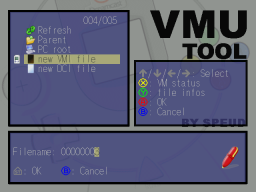 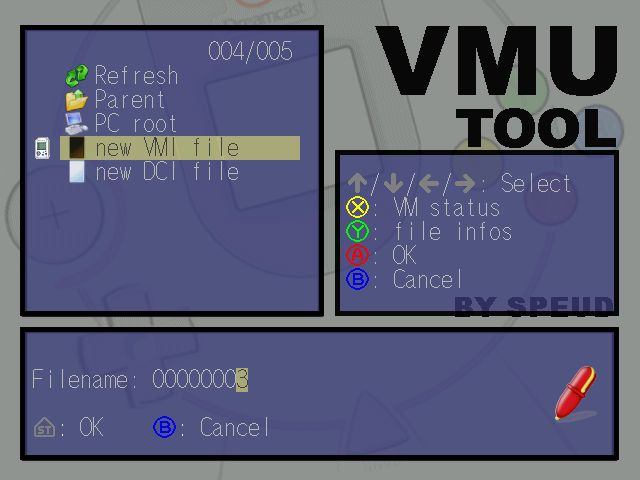 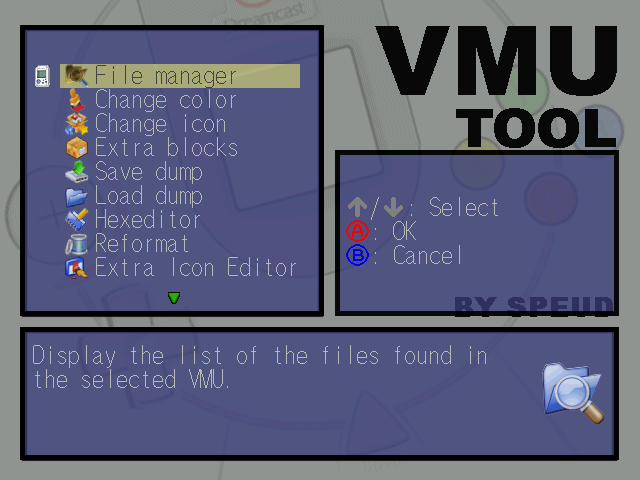 Or select the "new DCI file" option to save your VMU file to your PC as a DCI file. 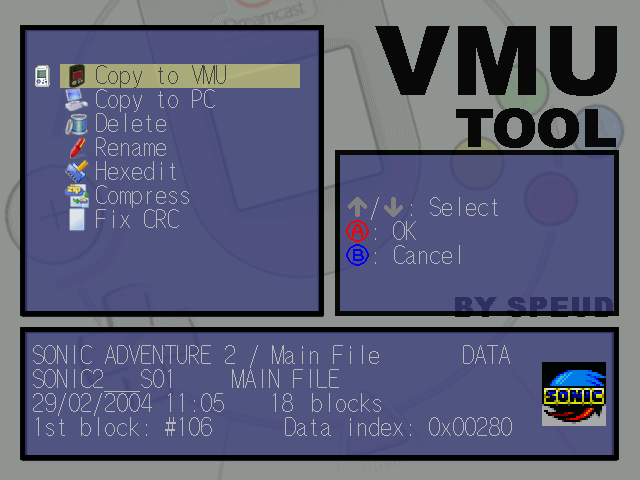 That's the format used by Nexus memory cards.